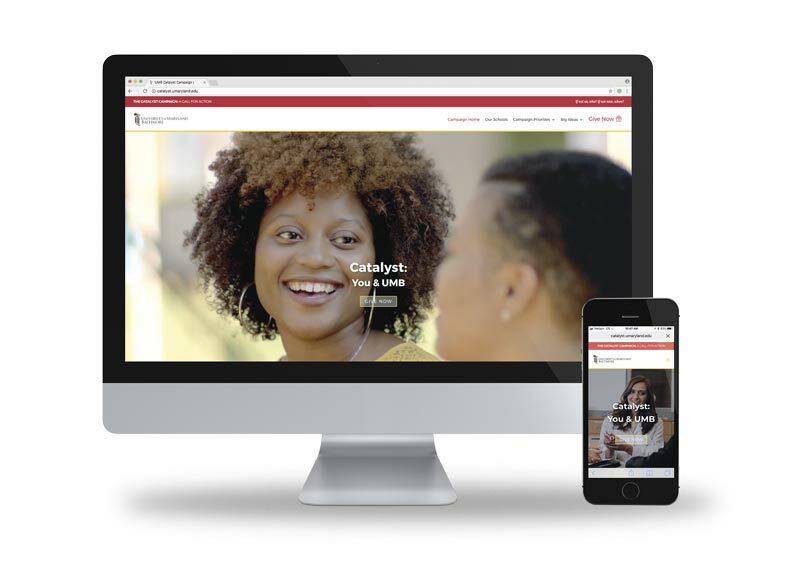 When the Foundation was embarking on a capital campaign, “Catalyst,” to raise $750 million to support scholarships, endowments, faculty excellence, research, and special initiatives, they turned to Graphcom as their partner. 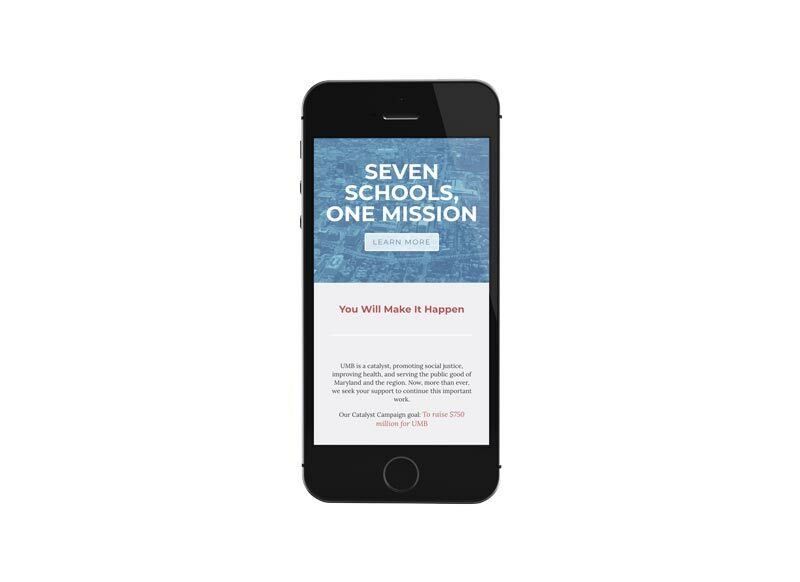 In addition to producing the overall design and messaging direction for the capital campaign, plus an extensive case statement portfolio for the main campus and all seven schools, Graphcom wrote, designed, and developed a microsite for fundraising. 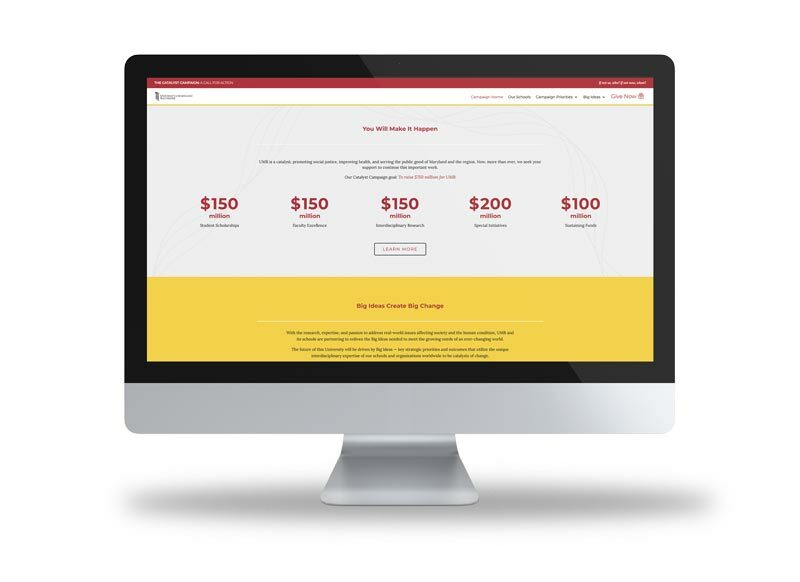 All campaign communications direct users to the microsite, where they can learn more about the Catalyst campaign, view photos and videos (taken by Graphcom), and donate to the campaign to support the future of UMB.